Adobe must think Linux users are a bunch of retards. It took them several days to release an update for their legacy Flash Player plugin for Linux – took them so long actually that Mozilla decided to block Flash in their Firefox browser. Now that’s a statement. Finally, here are the Slackware packages for flashplayer-plugin version 11.2.202.491. This version is a fix for several new zero-day exploits actively used on-line after the code leaked from the “Hacking Team” break-in, so it is urgently advised to upgrade if you are still using Flash. And even then, it appears that another zero-day exploit has been uncovered, which Adobe acknowledges in their security bulletin but for which the latest Flash release does not offer protection. If you wonder why I don’t mention that I also created packages for the Chromium PepperFlash plugin, that’s because I released that two days ago already! Posted: 16 July, 2015 in Slackware, Software. Wish I could say I’m surprised. When all of this started, I disabled flash. Can’t say I miss it much. Read: at all. Eric, can I ask you why you keep releasing flash player updates? Don’t you feel the time to discontinue them has arrived? I have installed freshplayerplugin, which allows to use pepperflash in firefox (I had to install also many dependencies). And it works very well. Do you plan to replace flashplayer with freshplayerplugin in the future ? I am not planning on replacing flashplayer-plugin with freshplayer. I think you should switch to Chromium anyway for a better Flash experience. 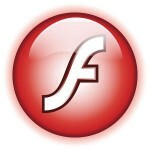 I will not stop updating the flashplayer-plugin – unless there are no further releases by Adobe of course. 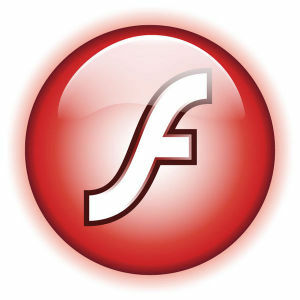 Enough people still need flash, on company networks for instance. Ultimately it is up to you to decide that you no longer want or need to use Flash, but that does not withhold me from creating packages. Deny Dias: apply cold water directly to the burn and everything should be ok. When i looked at the security bulletin i can’t see that this version is still effected. ” Adobe Flash Player Extended Support Release version 11.2.202.481 and earlier 11.x versions for Linux” and you packaged 11.2.202.491. With 400GB data i guess we will see a lot more vulnerabilities face the light.